BledCom is an annual gathering of scholars and practitioners in public relations and related disciplines to discuss contemporary communication and management problems. Organized annually since 1994, it is the oldest conference in our field that is not affiliated with a professional or academic association. 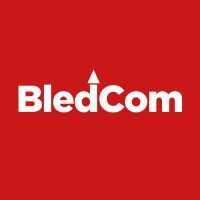 So far, eight books and nine special issues or sections of peer-reviewed journals have been published based on previous symposia (www.bledcom.com). The organizers attribute this success to the hundreds of colleagues who have participated over these years and of course our sponsors, and thank you all for sustaining this boutique conference for a quarter of a century. The 26th International Public Relations Research Symposium (BledCom) will be held on July 4, 5, & 6, 2019 in Rikli Balance Hotel (formerly Hotel Golf) Lake Bled, Slovenia. In such a challenging environment, how does/should public relations (re)build trust and reputation to help us function as social beings operatying in harmonious societies? What is trust and what is reputation? How does (should) communication and relationship management help individuals and organizations build trust and reputation? How do different stakeholders (such as employees to investors) experience, and perceive, trust and reputation in organizational settings? 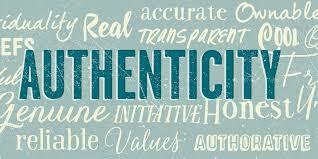 How relevant is it for us to talk about engagementin a world with diminishing trust? How do trust and reputation affect organizational and social success, or decline? How are 21stcenturey social processes such as digitalization and globalization affecting trust and reputation? How are media affecting trust and reputation? What benefits can organizations and the society get because of higher trust and reputation? How can communication management help us build reputation in a VUCA (volatile, uncertain, complex and ambiguous) world? How is the rising inequality, within and between, societies affecting trust and reputation within and between societies, and with what effects? Are there similarities in the problem of lack of trust and reputation globally, or do they differ from one part of the world to another? We invite abstracts that are between 500 and 800 words (including title and keywords) with up to 5 references. Please use the following guidelines to present your abstract and kindly supply the word count at the end of the submission. We also welcome panel and poster proposals. Please note that as has been the norm in the past, BledCom welcomes ALL papers that are relevant to public relations and communication management beyond papers that discuss the conference theme. Introduction and purpose of the study (and research question if there is one) – helps summarize the purpose and rationale of your study. Literature review – Helps place your work in context with the existing body of knowledge. Methodology – Define the main method used for gathering data including sample size, and state the rationale for using this method. Results and conclusions – Helps summarize the answers to the research questions while also outlining the implications of the results. Also summarize the limitations of the study and offer suggestions for future research. Practical and social implications – Offer the potential implications both for practice and society. Also provide us with 3 to 5 keywords that highlight your study. Abstracts should come as blind copies without author names and affiliations, who are to be identified on on a separate cover page. Please use the suggested headings to structure the abstract. A list of literature is not necessary, but if it is provided it is included into the word count. Panel proposal are also welcome. The proposal should describe the title and focus of the panel, name of the chair of the panel, and names of every member of the panel and title or focus of each presentation. Paper abstracts and panel proposals should be submitted via email to bledcom@fdv.uni-lj.si no later than 14 January 2019. Decisions will be made by 4 March 2019 after peer review. Full papers not exceeding 6.000 words will be due by 16 September 2019. The organizing committee will serve as guest editors of a special issue of Corporate Communications: An International Journal, based on papers presented at BledCom 2019. A separate conference proceedings will publish the remaining papers. Less than one month to go: the global communication community is gathering in Oslo, Norway, on April 22-24 to discuss Communication’s impact in a digital and ever-changing world at the World Public Relations Forum (WPRF). These changes will be explored from three main perspectives: truth, profit and intelligence. The programme includes research and practice colloquium with 3 keynotes and 6 paper sessions; business tracks with 32 keynotes; social events among which a networking dinner at the opera. The 5th International Reputation Management Conference, organised by the Reputation Management Institute and Kadir Has University, will take place in Istanbul, Turkey, on October 17-18, 2018. The conference will treat the Reputation of Nations and Brands: Managing Reputation and Building Trust in an Age of Crises, aiming to bring together academic and corporate professionals to explore reputation within a multidisciplinary framework drawing insights from a number of research fields and various disciplines. Abstracts of 300 words can be submitted until April 20, 2018. The Public Relations Society of China (PRSC), EUPRERA and Charles University are organizing a preconference at the ICA meeting in Prague, on May 24. 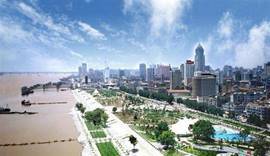 The 2nd Conference of the Public Relations Society of China and the 10th International Forum on Public Relations and Advertising will be jointly held in Wuhan, China, on October 27-30 on the theme “Trust and Dialogue: the Integrated Communication in the Era of Mobile Technologies and Creativity“.